In the light of deciding what I want to make of my life ahead of me. Over the last couple of weeks, God has once again cemented His reassurance in me through these words.I might not know what the future holds, but I know who holds my future. finally understood the difference between these two today when Herman explained it in the sermon. Mercy is withheld punishment | undeserved pardon | not getting what you deserve and Grace is unmerited favour | getting what you dont deserve. 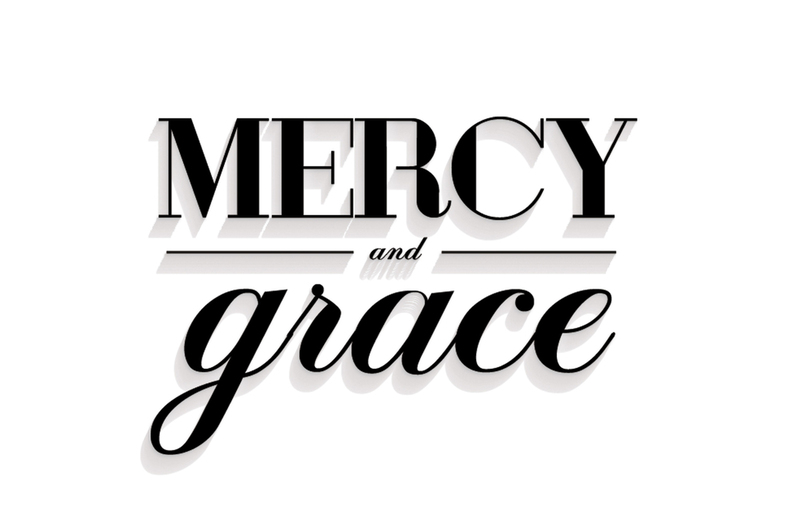 most of the time, when I read about His grace and mercy, i only got the first half of it. but today, i realized the other half of it. I was pardoned from the penalty of sin and then showered with an abundant of love. And Im in awe again thinking of God. He not only loves, but He loves beyond what we could ever hope for! your life is a continuous series of transitions. Transitions. Change. New realities. Adapting. Recent events lately had me seeing things in new light. and making me realized how much I've been holding on to what was and expecting the new realities to remain the same as they were. the biggest changes are always concerning the people around me. The people I love. But even people change. Situations changes, things happen that are out of our control. People move on, people go their separate ways. and what remains the same?Only God. He is the same yesterday today and forever. And God is so timely. He really knows our hearts. 2 dreams, group discussion on friday, one sermon, a passage in the bible is more than enough to realized what He's been trying to tell me. Eccl 3:1 To everything there is a season, A time for every purpose under heaven. And in verse 11, it's a comfort to read these words. "He has made everything beautiful in its time. Also He has put eternity in their hearts, except that no one can find out the work that God does from beginning to end." If there is one thing at all I've learnt in the past year, is to know and trust that everything He does, He does for a reason. And that all that He does (whether it might seem good or bad at that time) is for me to get closer to Him. Changes come painfully sometimes. heartaches and all that. But what are those in the light of eternity? 2 Cor 4:17 For our light and momentary troubles are achieving for us an eternal glory that far outweighs them all. Phil 3:13-14 Brethren, I do not count myself to have apprehended; but one thing I do, forgetting those things which are behind and reaching forward to those things which are ahead, I press toward the goal for the prize of the upward call of God in Christ Jesus. Hello good morning how you do? John 10:27 My sheep hear my voice, and I know them, and they follow Me.John 12:24 Most assuredly I say to you,unless a grain of wheat falls into the ground and dies, it reminds alone.but if it does it produces much grain.John 12: 45 And He who sees Me sees Him who sent me. I have come as a light into the world, that whoever believes in Me should not abide in darkness.John 13: 34 A new commandment I give to you, that you love one another as I have loved you, that you also love one another. By this all will know that you are My disciples, if you have love for one another.John 14:15 If you love me, keep my commandments.John 14: 27 Peace I leave with you. My peace I give to you, not as the world gives do I give to you. Let not your hearts be troubled, neither let it not be afraid. 3. Liz, who out of the blue and out of her generous heart bought me this pretty spring scarf. 4. Hui Ye cooking dinner for me, and bringing all kinda of junk food over to teman me. 5. Alce, Mia, Jacqueline and Jerrica's individual messages to me. All filled with love. 6. Mikaylie and her response to being corrected and her whatsapp message. 7. Reading little notes from appreciation night. 8. God putting different people in different points of the week, to affirm what He wanted to say to me. 9. Closure, and strength to do what He wants me to do. 10. His word. His word that never ceased to speak into our hearts. "How can I not be moved by all Your goodness, all Your blessings, by all that You've done in my life. How can I turn my back on You when I've experienced You so much this year." Giving up things has never been easy. But it's worth it for the One who have it all up for you.